When I then told our neighbour in sweden, that in other parts of the world people have never seen a snow lantern, he said: “Well, that’s strange. 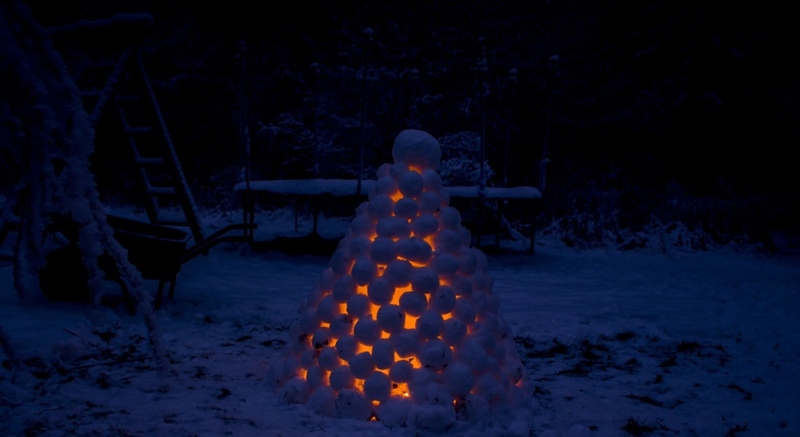 I mean here in sweden, building a snow lantern is kinda the first thing a child learns to do when it’s winter”…. …. so let’s bring this to other parts of the world, too! From Daniel Troger, enjoy this ode to building a snow lantern. Follow this with How to Build an Igloo, 100,000 white balloons create clouds in Covent Garden, “Salvation Fish” Transform From Animal to Candle, and Frozen bubbles: Ice crystals form on bubbles in real time.